This podcast discussion peeks into the world projected by J.D. Lasica in his new genetics thriller novel, Biohack. 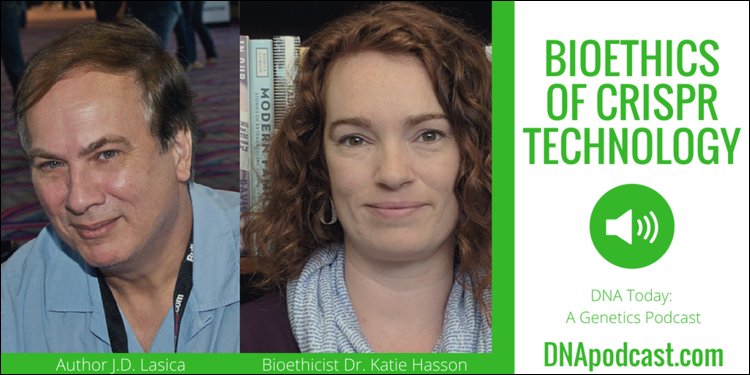 Bioethics expert Dr. Katie Hasson and Lasica discuss ethical issues surrounding CRISPR, and its implications for our future. J.D. Lasica is an author, Silicon Valley entrepreneur, and public speaker. He spoke at the United Nations in 2012 about how to use social media to combat global poverty, and he has given talks on four continents. His new book Biohack is a high-tech genetics thriller. Katie Hasson is the Program Director on Genetic Justice at the Center for Genetics and Society. She was an assistant professor of sociology and gender studies at the University of Southern California. She has researched and written on reproductive technologies and women’s health. For the audio, click on the above image.